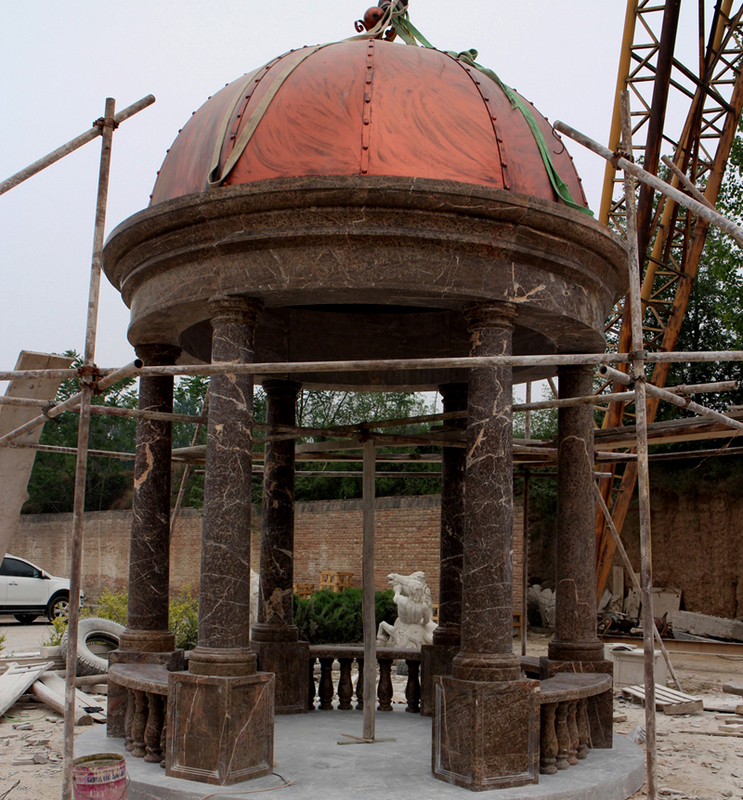 Brown Marble Gazebo Structure with Iron Dome | Metropolitan Galleries Inc.
Brown Marble Gazebo Structure with Iron Dome by Metropolitan Galleries was carved by skilled sculptors, from quality marble stone. Marble sculpture is the art of creating three-dimensional forms from marble. Metropolitan Galleries offers a diverse and custom selection of carved marble assemblies ideal for indoor and outdoor placement, as well as custom marble sculpture development capabilities. Our selection of marble items can be carved in masha white marble, henan yellow marble, sunset red marble, emperador marble, black marble, granite and travertine. More marble stone colors are available upon request.